Today, the Swiss Robotics Industry Day will play host to the R2t2 rescue mission and we are heading straight for the future! 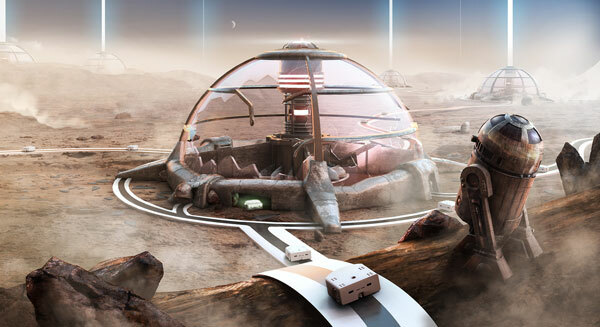 The year is 2032 and a meteorite has damaged a power station on Mars. 16 teams of school-aged children spread across the world have each been given control of a robot based on Mars and have been commanded to work together to assess the damage and restart the main generator. The teams will need to programme the robots taking into account the time lag taken for instructions to travel from planet Earth to Mars (between three and 21 minutes depending on the orbit) in order to get the generator restarted in time. Teams will programme their robots and send in their expertise from across the world, including Switzerland, France, South Africa, Russia and Italy. You can watch along live and see the future of space travel at https://www.thymio.org/en:thymio-r2t2 from 13:30 (CET) today.